This beer is one of the few silver linings to come from the collapse of equipment supplier Core Brewing earlier in the year. It left many Aussie brewers – amateur, commercial and in between – out of pocket, some to the tune of tens of thousands of dollars. One of the affected breweries was Temple, whose head brewer Glenn Harrison invited the others to join them for a commiseratory, "let's turn a bad thing into something positive" collaboration brew day earlier in the year. Among the affected breweries – many of whom joined Glenn on brew day – were The Winston in Hobart, Rutherglen Brewery, Shark Island, Sydney, Barrier Reef Brewery, Cairns, Rogue Wave Brewery on the Surf Coast, Boneyard Brewing, Melbourne, Bruny Island Brewery, Tasmania, Bale-Worker Project Brewery, Melbourne, White Lies Brewing, Brisbane, and Asahi. 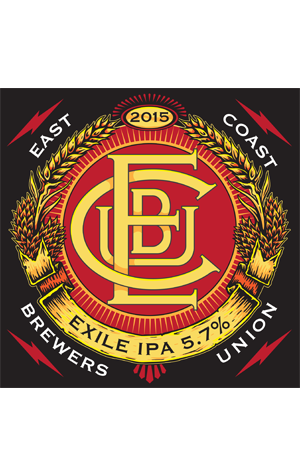 The chosen beer style was an East Coast IPA and now, with all involved having sorted their licenses to sell beer, the kegs are out across the country. It features Melba and Comet hops provided by Ellerslie Hops and Hopco and is described by Glenn as: "A true to style east coast IPA [with a] nice, spicy bitterness which then leads into fresh aromas of passionfruit, grapefruit and summer berries." He also wanted to thank Kegstar, which has donated kegs to get the beer around the country.